Firstly, let me state the obvious. If you have a fear of using hashtags, GET OVER IT. Hashtags are the single most effective way to get more followers on Instagram as it puts your photos in front of thousands of relevant people. You can use up to 30 hashtags on each post (I do), but the real trick is making sure you are using the right kind of hashtags. So what are the right kind of hashtags? Choose hashtags that are closely linked to your chosen topic or niche. Choose hashtags that have a community behind them, full of people who are likeminded and have similar taste and interests to you. These are the people that are most likely to like your photos and follow your account. It’s important to take time doing research on the most relevant hashtags for your post instead of randomly hashtagging words and phrases. My strategy: I plan hashtags for each of my posts and write them out in advance in ‘notes’ on my iPhone. If I need some hashtag inspiration, I take the photo I want to post to the ‘write a caption’ stage on Instagram. Here you can type in words and the app will automatically suggest relevant hashtags in the dropdown below. This dropdown also tells you how many times the hashtag has been used, determining its popularity and opportunity for exposure. Tip: Don’t always choose the hashtags with millions of posts under them. They’re used by many but their popularity means your photo will only be at the top of the feed for a split second. Hashtags with 20,000-100,000 posts can be great as the community is still niche and you are battling with less users to be top of the feed. Example: We all love a good brunch, so take this photo for example. 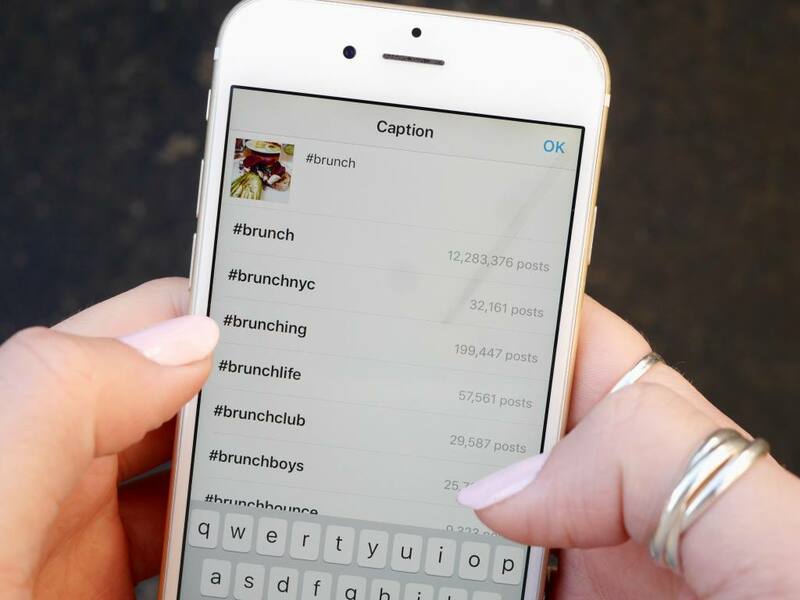 Instead of using #brunch (+12 mil posts), #breakfast (+52 mil posts) and #avocado (+5 mil posts) I used niche hashtags such as #brunching (199,447 posts), #breakfastclub (458,494 posts) #avocadolover (51,561 posts). These hashtags were suggested to me when I typed in the basic words. Once you’ve started using community hashtags, you should also spend time engaging with these communities. This will give your account greater exposure to other relevant accounts who are likely to follow your page. 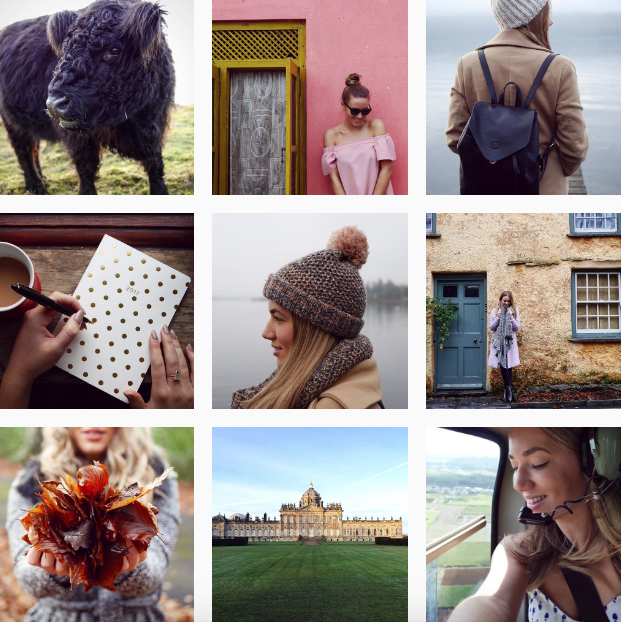 At the centre of a hashtag community (e.g #wearetravelgirls – 315,285 posts) is usually a popular Instagram account that reposts photos under that chosen hashtag (e.g @wearetravelgirls). An added bonus is that the hashtag’s Instagram account may choose to re-post your photo, therefore giving you really valuable exposure to a relevant audience. My Strategy: As my blog is about travel, I use female travel community hashtags such as #wearetravelgirls, #globelletravels and #girlsmeetglobe. Every so often I will look at the feed of these hashtags and spend time liking and commenting on other people’s photos. If I find new accounts that I think are relevant and inspiring, I will follow them. The strong pink colour is quite striking, but instead of just using #pink I did some research and found the hashtag #ihavethisthingwithpink (74,000 posts). So you’ve worked really hard on improving your hashtags and spent time engaging with Instagram communities, it’s likely that you’re going to see a boost on engagement in your own photos. Your likes per photo may increase and you may see more comments popping up on your photos. At this stage, the absolute worst thing is to ignore those comments! Instagram’s latest update has made it even easier for you to engage with your comments by adding a like and reply button to every comment. My Strategy: I try to like and reply to every single one of my comments on Instagram. This is because I want to grow a rapport and relationship with my followers. I don’t always have the time to reply to every comment straight away, but I will dedicate about 20-30 minutes each day to sit and read through the comments and reply to them. The basic psychology is, if you reply to someone, they’re more likely to comment again next time. Example: To get more people commenting on your photos, it’s a good idea to add a question into your caption. I asked my followers ‘where in the world are you all from?’. The question got an amazing response and I got to see how global my Instagram community is. I made sure I replied to all the comments. All of your hard work on hashtags and engagement is pointless unless you have beautiful and well-composed photos on your Instagram page. If you go out for the day and take 50 photos that you like, it’s tempting to post all of them on Instagram. Don’t. Only use the very best shots for your Instagram post, and make use of the other photos elsewhere. Strategy: Whenever I go through a new batch of photos I will always use the most unique and high quality photos for Instagram. Any photos that don’t quite make the Instagram cut will be used on my blog. This way, when my followers check out my new blog posts they are always guaranteed to see fresh new imagery that they haven’t already seen on Instagram. 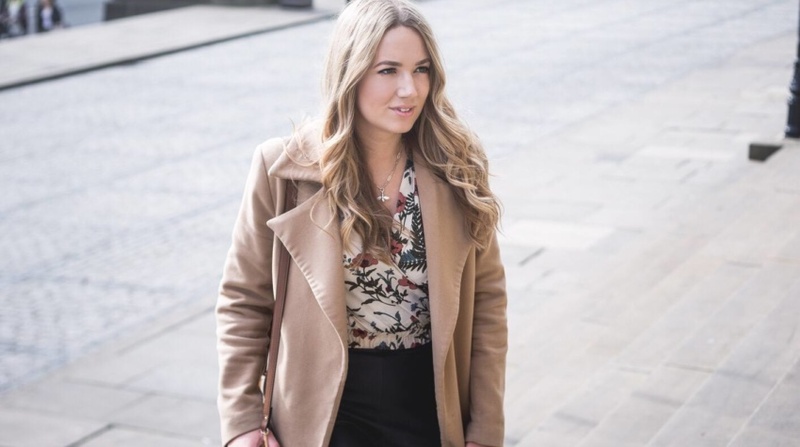 Example: I recently went to The Lake District for a collaboration with Accessorize. The brief was to take stylish travel photos featuring Accessorize products. We took hundreds of photos but I only chose about 5 or 6 for my Instagram page. I saved my ‘B-List’ photos to share on Twitter and also on the blog. Ok, this final tip is a little controversial as it goes against the concept that Instagram posts should be shared in ‘real time’. To an extent, I do agree with this. But whenever you find a new Instagram profile that makes you go ‘WOW’, the chances are it has been highly curated. The photos are probably very strong on their own, and also look beautiful as a collective. The photography style is probably consistent and there may be a similar filter or tone throughout. If you have an artistic or design-led eye then curating your Instagram profile will come quite naturally. For me, a well-planned Instagram feed is all about contrasts. Think colour contrasts, tonal contrasts, textural contrasts and perspective contrasts. I would never post two photos of a predominantly similar colour next to each other, because they would detract from each other. If I have a brightly coloured photos e.g. me against the pink wall, I would make sure I post this next to a fairly neutral photo to make the colour pop. It’s also nice to balance our close up detail shots with photos shot at a distance. Basically, variety is key! Strategy: I use a free Instagram grid planner app called UNUM and couldn’t recommend it enough. It allows you to upload your potential Instagram photos into a 3×3 Instagram grid and you can drag and drop your future photos into position. The app allows you to see what your page will look like before you post the photos. This app is an absolute must for anyone who wants to curate their feed. Planning out your grid can feel like a bit of a rubix cube and engaging extensively with other accounts can be really time consuming. But if you’re willing to put the time and the effort, I guarantee these tips will help you to get more followers on Instagram. Enjoy this post? Make sure you’re following me on Instagram @TheTravelista to see what I post next! 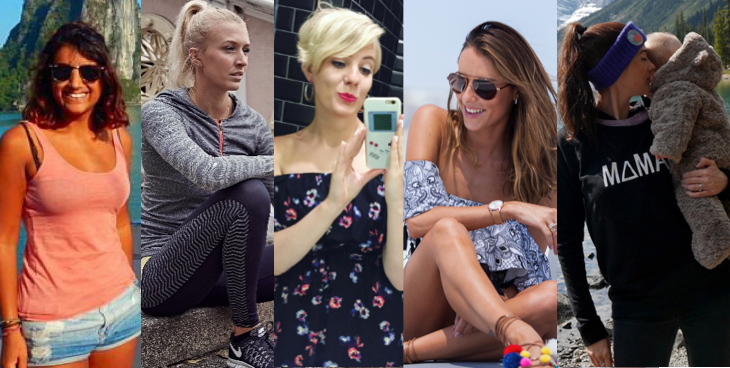 On My Mind: Are Influencers & Bloggers Just Becoming Models? In the present scenario Instagram has become a paramount part of individuals’ life. Most people use it for online growth of their business. Without any doubt Instagram is a best platform for the promotion of business but it totally depend on the number of followers on our Instagram account. It is not a tough nut to crack for anyone to make a Instagram account but to get huge followers is really a very challenging. People have to take care about plethora things to getting response from numerous followers. If the followers don’t get interesting stuff from our account then they take less interest to follow us. So people must take care about numerous things if they want that their followers should not be decreased. You have provided very useful and interesting stuff in the above post. 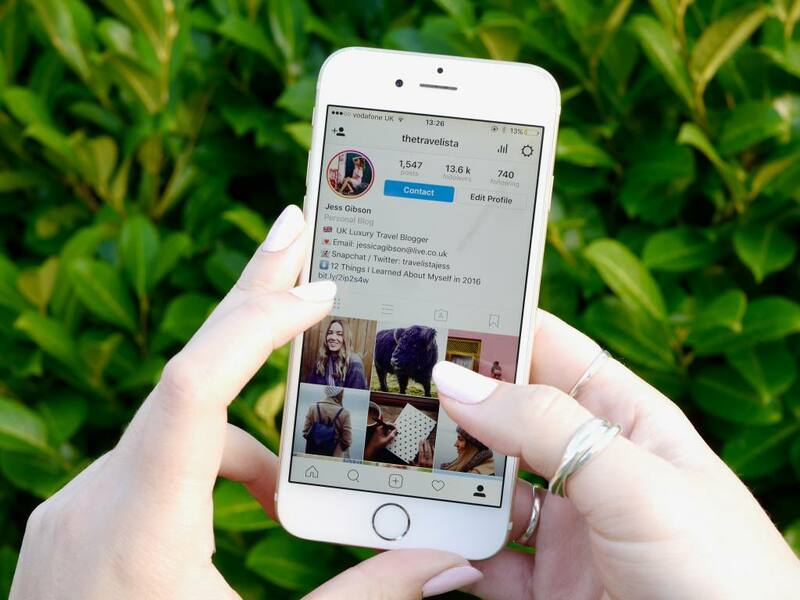 The provided information about deeply aspects that how the followers can be enhanced can prove really be very useful for persons specially for business owners who prefer to promote their business with Instagram marketing. After reading this post, Instagram account holders will definitely improve the things like will choose attractive theme, will use hashtag properly in posts, be a part of hashtag community, select attractive images, will properly plan their grid and try to improve anything else which is helpful to increase the Instagram followers. I also provide real Instagram followers with organic ways. I really praise you for this wonderful article which can easily help people to get numerous followers. These tips are very helpful. In addition, I personally use hashtags when marketing products or services on Instagram. One of my favorite tools would be Hashatory. This hashtag suggesting tool helps me target a specific market by providing a group of related hashtags for my keyword on a search volume or tier that I preset. I find it very easy to use for both big and small campaigns. Hey Kristel, thanks for your comment! I absolutely love your input about Hashatory. I’ve actually never heard of that so I am going to check it out myself 🙂 Happy Gramming! Thank you so much for this! I am trying to grow my instagram following and it’s been such a struggle! I will definately try these tips. I am launching a luxury travel blog next month and need all the help I can get! As developing my Instagram account is one of my aims for 2017 this has been really helpful – thank you so much for sharing your tips! I hadn’t realised that grid planners exist so might look into it as I am definitely guilty of posting images that are too similar next to each other. No wonder your account looks so professional! Such a perfect post and thanks for sharing all your tips. I’ve been a long term fan of your insta so it’s really nice to see how you put it all together! That pink wall is just beaut though! Great post Jess! I’ll definitely try some of those # out next time! I’ve been looking for ways to improve my Instagram so this post has come at THE perfect time. One thing I know I’m rubbish at is replying to comments. I don’t know why, but I need to get into the habit of responding to people because I know how important it is. I also didn’t know about the UNUM planner, it sounds like a really useful tool!